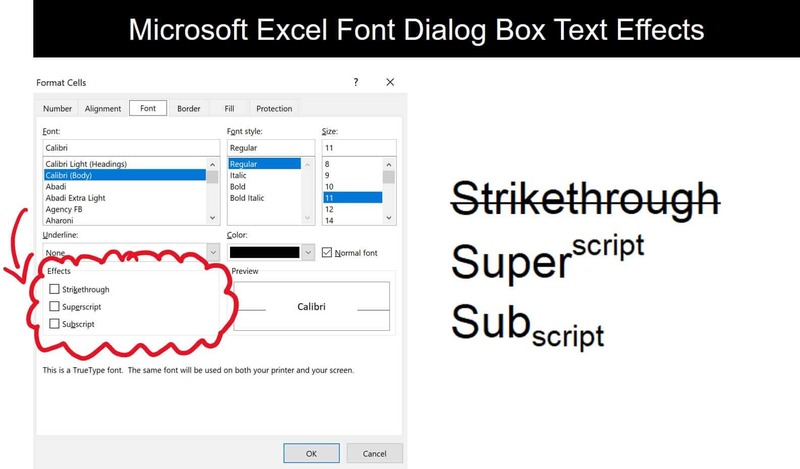 Striking out text (like this) in Word, Excel and PowerPoint is same, same but different. That’s because while PowerPoint and Word both have the strikethrough command available in the Microsoft Ribbon (pictured below), to strike out text in Excel you have to work through the Format Cells dialog box or use the Ctrl+5 shortcut. 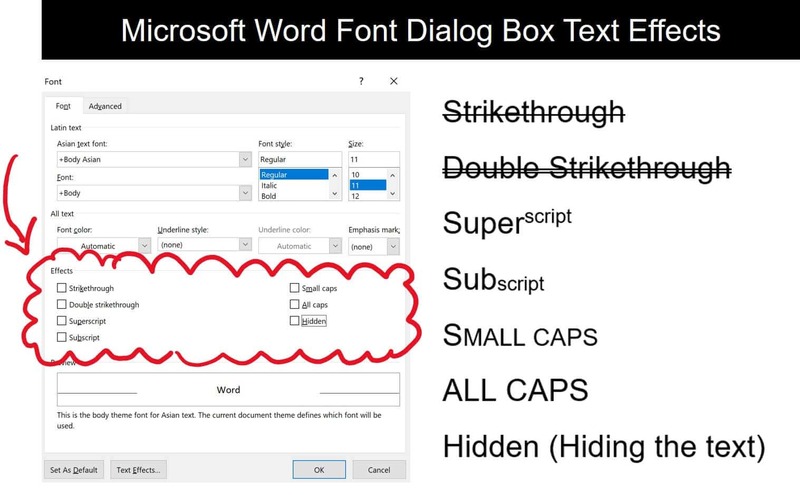 On top of that, regardless of which Microsoft Office program you are using, if you navigate through the Font dialog box (or Format Cells dialog box in Excel) you get a bunch of other useful text effect options you can apply to your text (discussed for each of the programs below). There are two ways you can strikethrough text in Microsoft Word. #1: Use the default strikethrough command in your Word Ribbon. The advantage of using the Font Dialog box is it gives you 7 other text effect options you can apply to your text (as you can see in the picture above). To learn the different ways to shortcut these text effect options, see Strikethrough Shortcuts (Word, Excel and PowerPoint). There are 4 different ways you can strike out text in Excel using the Format Cells dialog box. And the reason there there are so many options in Excel is because you can leverage cell borders to create the diagonal cross out text effect (described below). To learn the different ways to shortcut these different text effect options, see Strikethrough Shortcuts (Word, Excel and PowerPoint). There are two different ways to cross out text in PowerPoint. 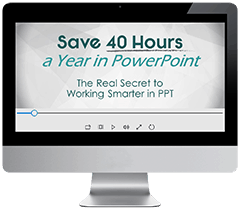 #1: Use the strikethrough command in your PowerPoint Ribbon. 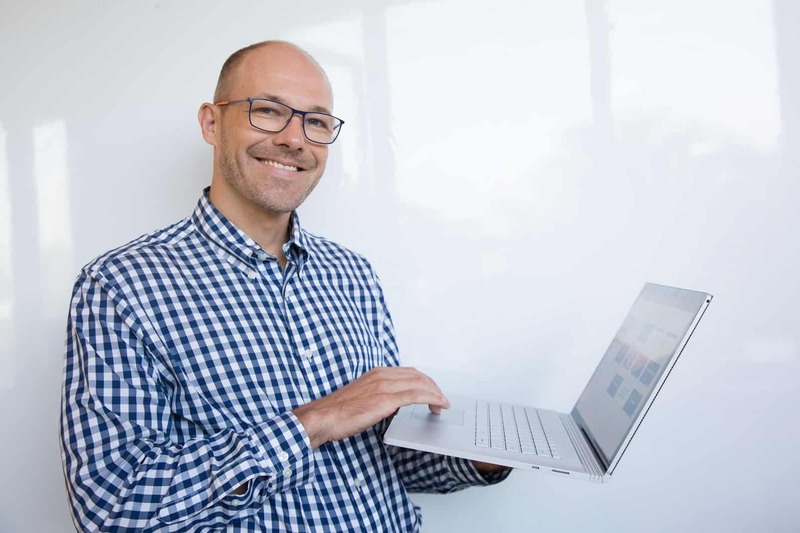 To later remove the strikethrough, simply select the text and either unselect the strikethrough command or hit Ctrl + Spacebar on your keyboard to wipe out the text formatting. In addition to the strikethrough command, using the Font Dialog box in PowerPoint gives you a total of 7 text effects you can apply to your text (as pictured below). To learn the different shortcuts to these commands in each Office application, see Strikethrough Shortcuts (Word, Excel and PowerPoint).